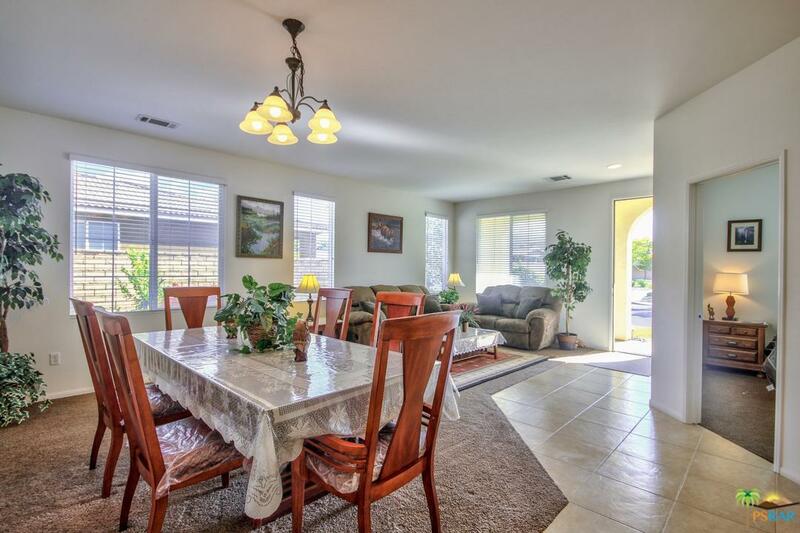 Immaculate & turn key furnished home behind the gates of Talavera community in north Indio. This beautiful home with original owners shows great pride of ownership throughout. Upon entering, home features a formal living room and dining room. 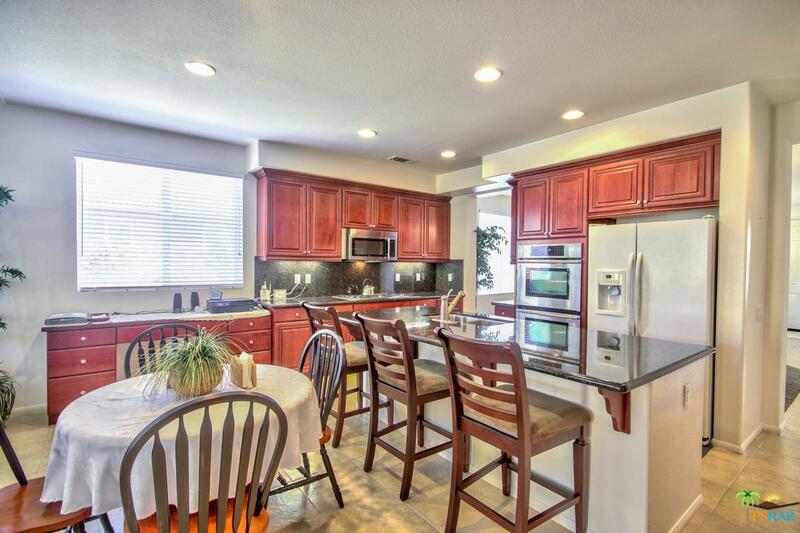 At other side of wall is a spacious kitchen with granite counters, center island and ample cabinet space. Kitchen opens to family room with it's own fireplace. Spacious downstairs master suite has it's own bathroom and walk in closet. 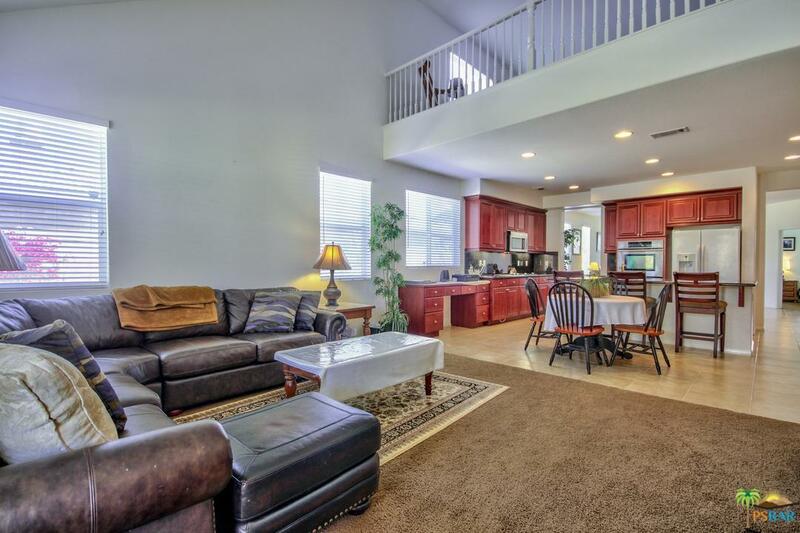 Two additional bedrooms plus two additional bathrooms downstairs. Upstairs is a spacious junior master suite with it's own bathroom along with a large loft that makes for a great additional living space. Backyard has an alumiwood covered patio with expanded concrete decking. Low maintenance landscaping in backyard with two wide side yards. Inside laundry. Two car garage. 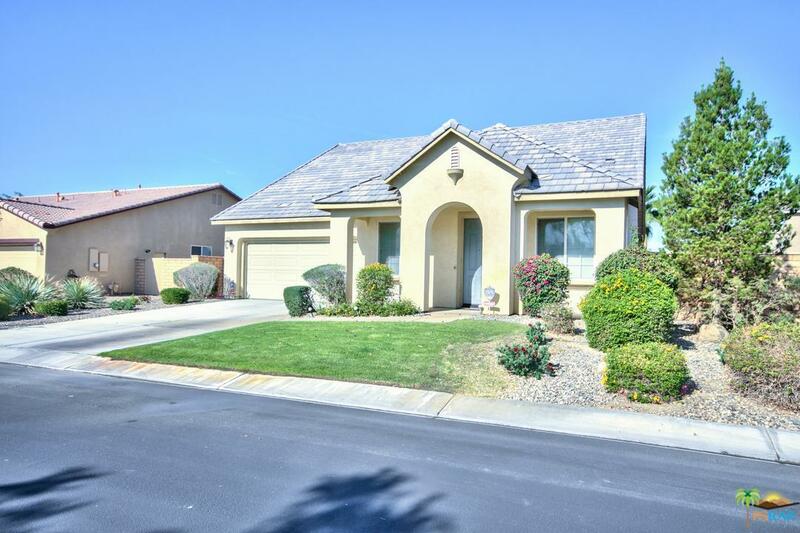 Home is directly across the street from beautiful park area with play ground and plenty of grass to let the dogs or kids play. Sold by Nonmember Agentdefault BRE#01376513 of Nonmember Officedefault. Listing provided courtesy of David Emerson DRE#01376513 of Windermere Homes And Estates.